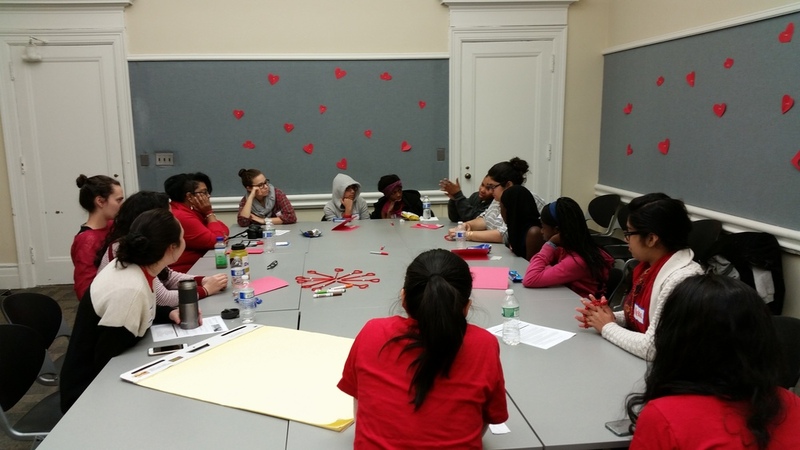 For the second year in a row, the Residential Life staff and Resident Assistants("RAs") of Barnard College commemorated Martin Luther King, Jr. Day by facilitating a set of leadership development workshops for Harlem Lacrosse and Leadership students through the Barnard Reach Out (“BRO”) project. Thirty-four HLL participants from P.S. / M.S. 149 the Sojourner Truth School (“Truth”) and Promise Academy II started off the afternoon with a healthy meal provided by Barnard. After lunch, the HLL students broke into six smaller groups and relocated into separate rooms to discuss several life skills topics. HLL would like to thank the RAs for sharing important life lessons with our students. We also send special shout outs to Assistant Director Jamie Rodriguez and the Residential Life staff for organizing the event. HLL looks forward to strengthening our relationship with Barnard and working with them again in 2016!